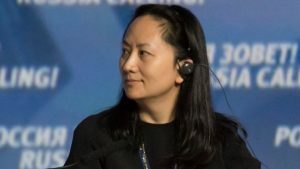 Ms Meng is the daughter of Huawei’s founder, and her arrest has strained relations between China, and the US and Canada. US authorities filed almost two dozen charges against Huawei – the world’s second largest smartphone maker – and Ms Meng in January, along with a formal request for her extradition. China has slammed the move as an “abuse of the bilateral extradition treaty” between Canada and the US, and has expressed its “resolute opposition” and “strong dissatisfaction” with the proceedings. But Canada says it is following the rule of law. Two of its citizens in China are thought to have been detained in retaliation for her arrest.